If you are looking to for ideas about small plunge pools, here are a few ways that plunge pools can be a great addition to your backyard. If you have a small backyard but still want to benefit from a pool, consider installing a small plunge pool. 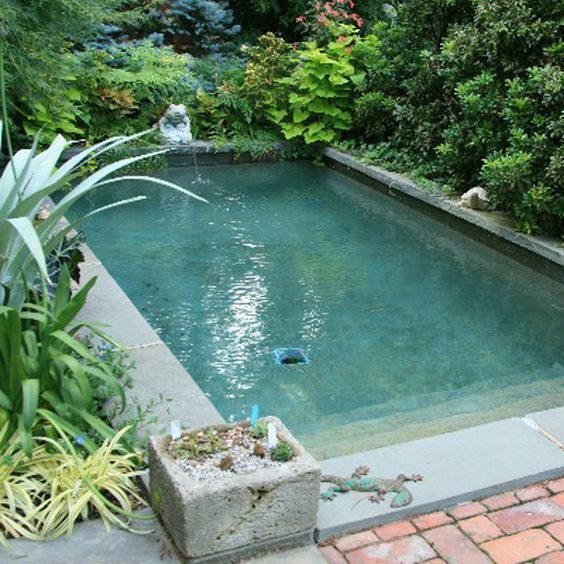 These pools are designed to be small additions to your backyard so that you can enjoy lounging, wading, and cooling off during the warmer months. 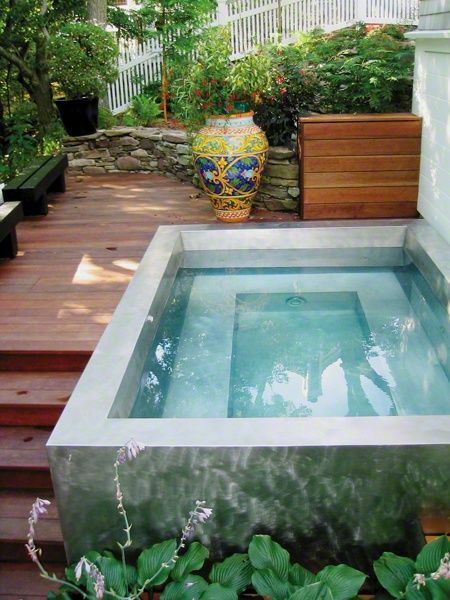 Small plunge pools are perfect for entertaining and cooling off. During the summer, these pools are great for small children and adults who want to keep cool without having to leave the backyard. Plunge pools can add a water feature to your backyard while still leaving room for grass to play on and trees to shade your yard. 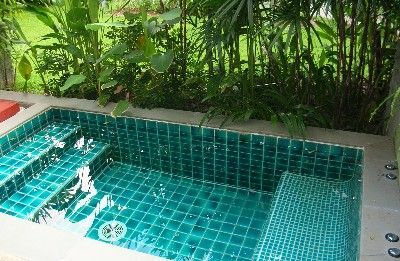 Small plunge pools tend to be easier to maintain than regular sized pools. They require less water and, if you want to heat them, would only require a small water heater to bring your pool up to the temperature you want. Small pools can be cheaper to install and can cost less to maintain overall. Plunge pools can be major space savers, and you can make them into any shape you want in your backyard. These small plunge pools can be free form, circular, square, or rectangular. You can also add water features like fountains or waterfalls to your pool to add dimension and atmosphere to your space. Plunge pools have been traditionally used as a cool down from a spa or sauna. If you have a hot tub or a sauna in your backyard or as part of your home, an unheated plunge pool can add the opportunity for cold-plunge therapy into the mix. Small pools can also be used for low-impact exercises. If you are recovering from an injury or need to work on rehabilitating sore hips, knees, or your back, working out in the water provides great resistance training without having to worry about damaging your body further. A plunge pool can help with stretching, low impact muscle strengthening, and entertaining. You can customize your plunge pool by adding jets or whirlpool effects for added relaxation. 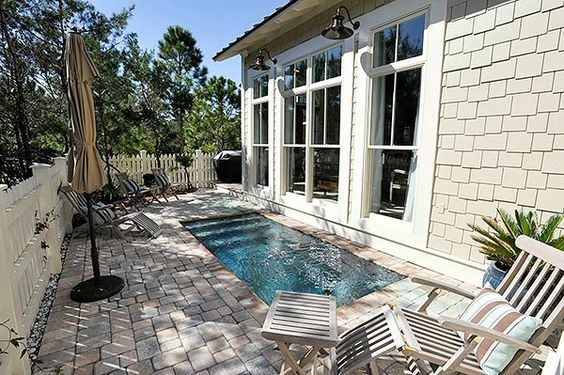 A plunge pool can be created to be exactly what you want it to be; it can be a center for your backyard’s entertainment and surrounded by a patio, chairs, and tables for outdoor dining. It can also be tucked away in a corner of your yard, surrounded by natural landscaping, and serve as your own private home oasis. When it comes to installing your plunge pool, you want to make sure you are happy with the end result. 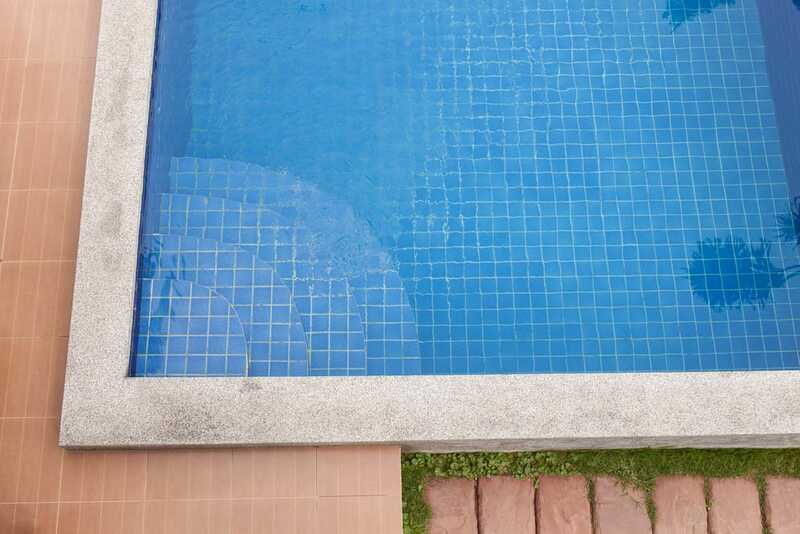 Think about the kind of pool you want, where it will go in your yard, how much you are able to spend on your pool, and if you want to add additions like water features or natural landscaping around the pool. There are other details you can add to your pool to make it extra relaxing. If you have a hot tub or outdoor sauna, you can integrate your small plunge pool into the design of your backyard. Small plunge pools can be added to your patio space. 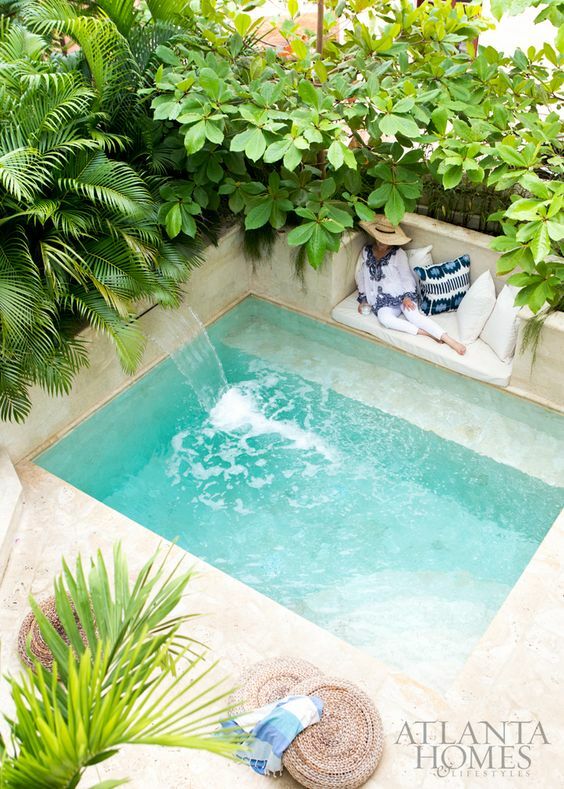 Seating around your plunge pool can add an area for relaxing. Tile designs can add depth to your shallow pool. 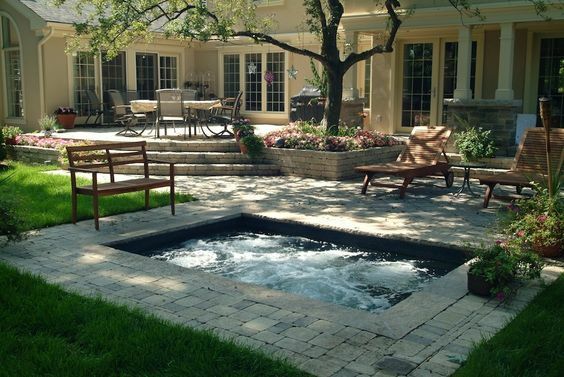 Plunge pools can add a water feature to your backyard. 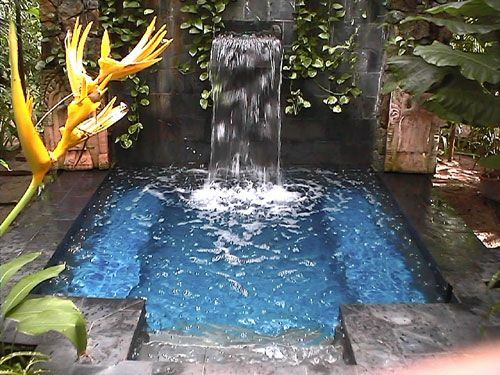 A waterfall can give your pool a relaxing energy. Plunge pools can work well with a spa or sauna you have. Plunge pools can be excellent entertaining spaces. 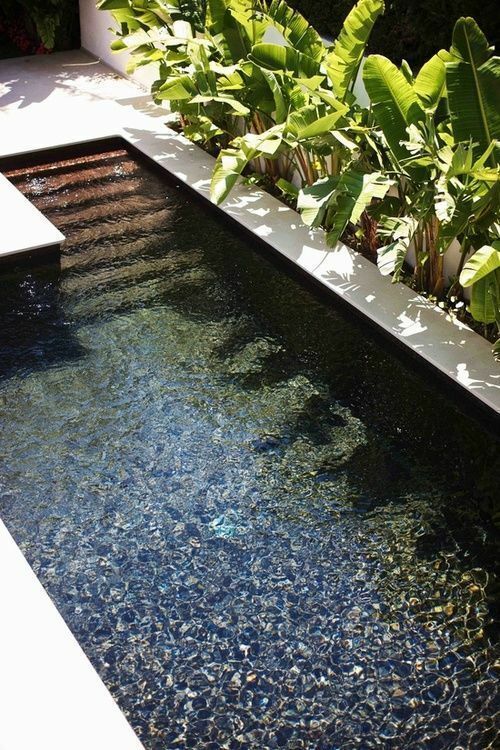 A small plunge pool can be the focal point of your backyard. Natural stone can make a great base for your pool. 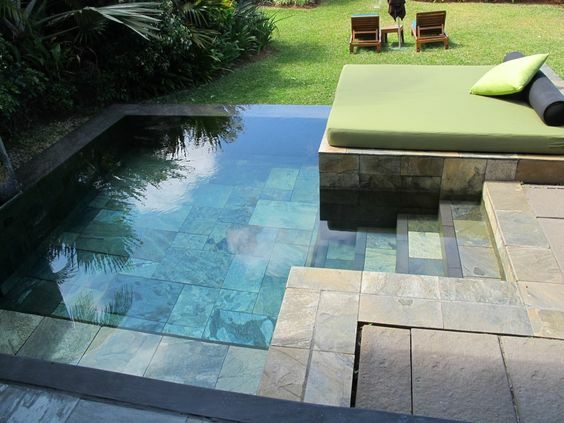 Natural landscaping can add a peaceful vibe to your plunge pool.